Once target groups are defined, visitor profiling rules are set and personalized content is created, it is time to deliver the personalized content to the right people. For further debug information see below. Redirect: The visitor can be redirected when certain conditions match. E.g. redirect visitor on its first visit to your site to a special landing page. Code-Snippet: The code snippet action allows to inject a code snippet to the response when certain conditions match. 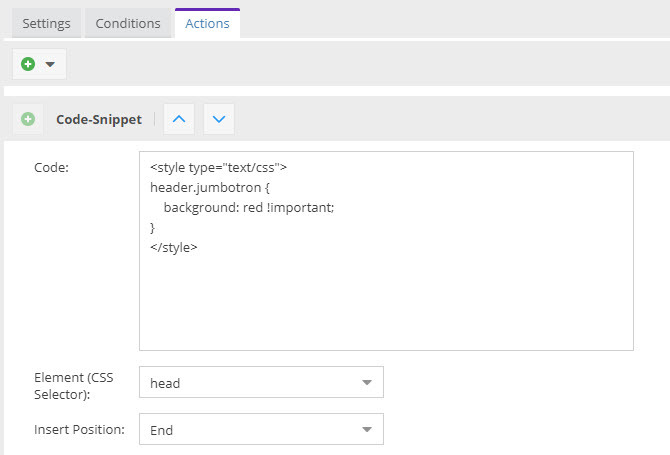 This opens up lots of possibilities such as restyling the page by injecting CSS, adding additional functionality by adding JS Snippets or even injecting whole HTML code blocks. 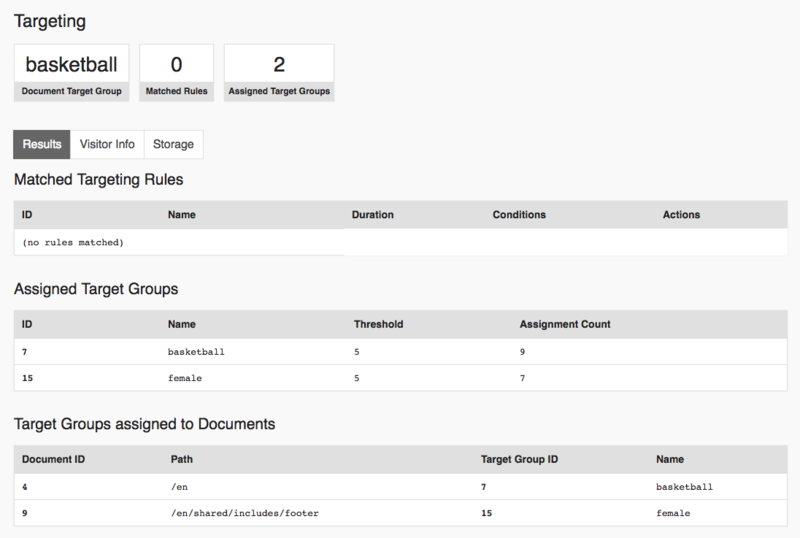 The personalization configuration can become quite complex really quick. To get to know what happens, which rules matched for a certain request, which target groups are assigned and what data is collected, Pimcore injects several information the Symfony profiler bar. 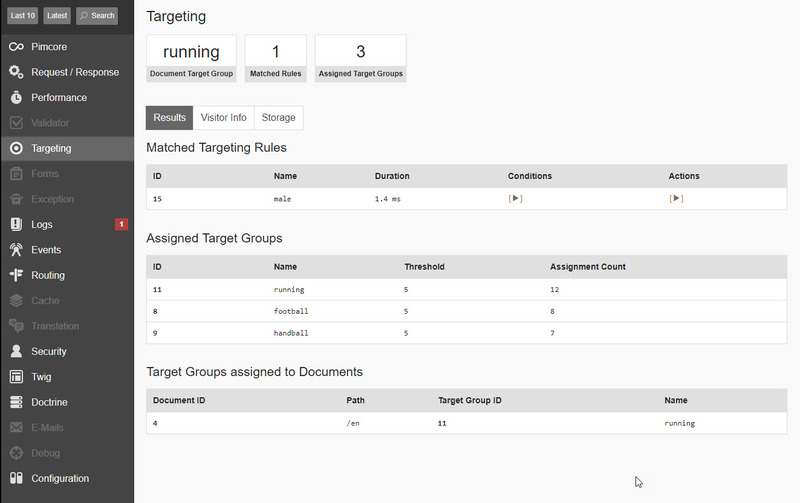 On the detail page you can find all information about matching targeting rules, assigned target groups, chosen target groups for document delivery, all stored visitor information and content of the visitor storage.